I started using artboards in Photoshop, they are great for making banner sets. However, I've just had to change something in only 1 of my banners. If I use 'File > Export as...' it only gives me the 'Export All' option. How do I exclude artboards or just pick one for export? The goal is to save one of my artboards to a JPG banner. 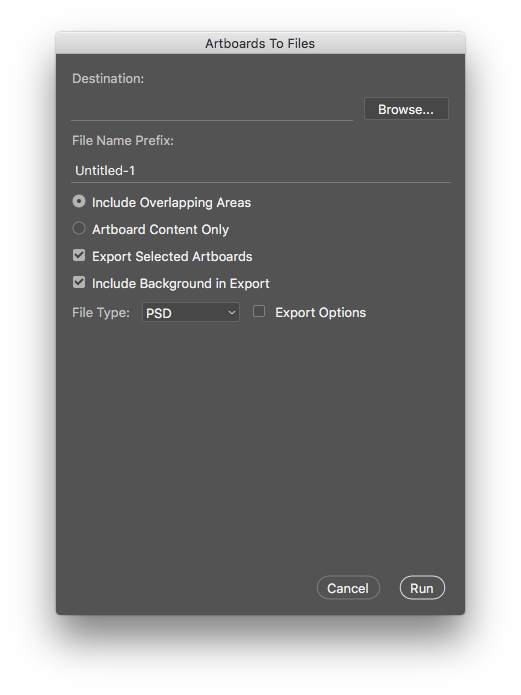 This will give you the option to export the selected Artboard only. You can also right-click on the artboard name in the Layers panel and choose "Quick export as PNG" (or "Export As..." and choose the appropriate format and quality settings). You also have the option to select whatever artboards you want, right click > export as and that will bring the same window as in your case but only for the selected artboards. Not the answer you're looking for? 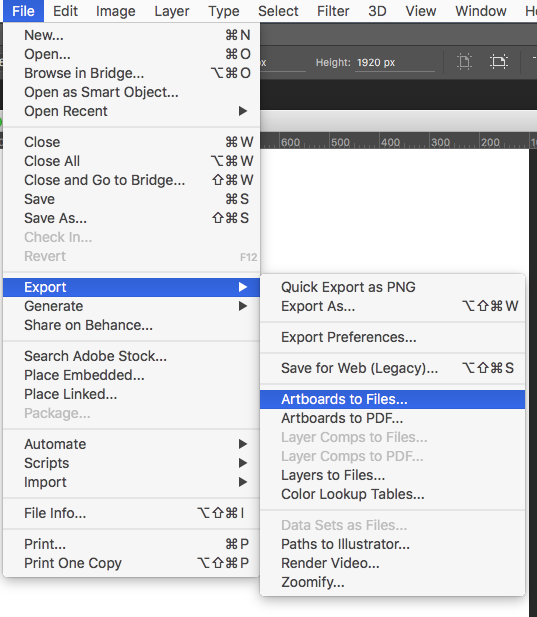 Browse other questions tagged adobe-photoshop export artboard mac or ask your own question. Photoshop CS6: Export data sets as jpg?